PSTA’s 2017 fiscal year (FY17) ended with a whimper on September 30th. In one year, ridership declined 7%, passenger revenue declined 10%, and the number of so-called “Transportation Disadvantaged” (TD) riders rose 26%. 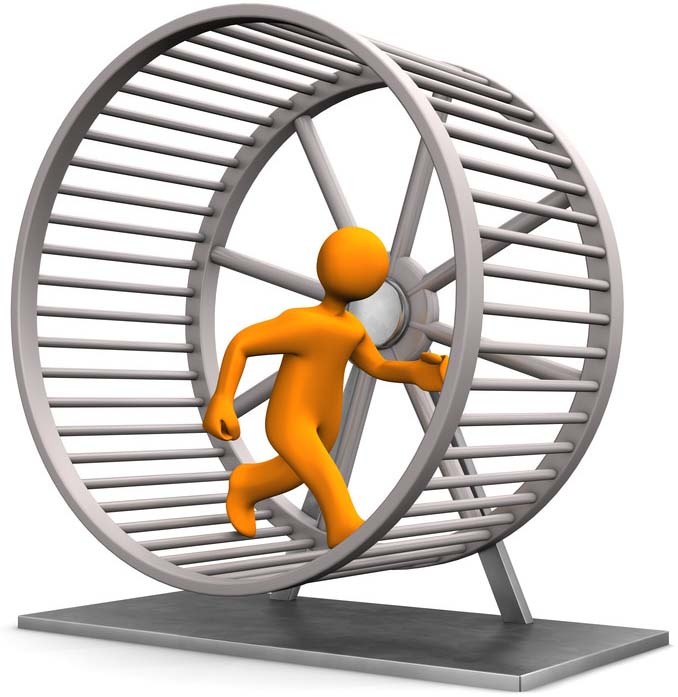 To call TD riders “paying customers” is questionable since they pay only $11 for a monthly pass. That’s an 85% discount off the full price that working folks pay. TD ridership now stands at 36% of PSTA’s total paid ridership, three times higher than it was five years ago. Furthermore, some TD riders pay nothing as charities provide them with the monthly passes for free. Some of these charities are in turn funded by your tax dollars. PSTA also receives reimbursement from the State Legislature for TD riders. The more TD riders, the more money PSTA receives from the state. That reimbursement rose from less than half a million dollars in FY12 to $3 million in FY17, a six-fold increase in just five years. The two-year comparison is no better: ridership declined 15% and passenger revenue declined 19% in the last two years. 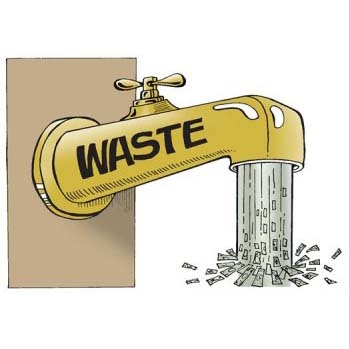 The shell game of feeding tax dollars to create artificial demand for monthly passes discounted by 85% obviously isn’t working. What is a central planner to do? In desperation, PSTA sold its 31-day full price passes in June for just $35, half off the normal price of $70. Despite six times the normal number of passes being sold in June, PSTA ridership didn’t increase. This suggests that PSTA’s full price monthly pass buyers simply stockpiled the half-off passes. Monthly passes have no expiration date and are valid for 31 days from the day of first use. In other words: PSTA is increasingly giving away its bus rides, but more and more people still say “no thanks” and prefer to get around using other modes of transportation. An indicator of the number of people who regularly rely on PSTA to transport them is the number full-price monthly passes sold. In FY13, that number was 2,679 per month. In FY17, that number had dropped to 1,598 per month, a startling 40% decline in core ridership in just four years. Did 40% actually stop riding the bus regularly in just 3 years? Or is there another explanation? TD passes are being sold by street urchins in public parks, or by unknown parties on Craig’s list. Such sales are illegal, but PSTA has turned a blind eye so far. Some TD passes are thus being used by people who in fact are not “transportation disadvantaged.” They bought their pass from someone who is allegedly “transportation disadvantaged” and who sold their pass and used the money for who knows what. Only 1 in 400 of the adult population in Pinellas County buys PSTA monthly passes at the full price of $70. That price is a deal because passenger fares only cover about 10% of the cost of running PSTA. Closing down PSTA would likely reduce congestion as their rolling road blocks (a.k.a. “buses”) disappear and a few more cars take their place. In summary, despite the best efforts of PSTA’s bureaucrats and PSTA’s politician-packed board, there just isn’t no putting lipstick on this pig. 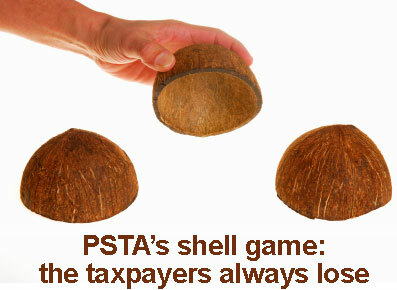 To convey the true picture, PSTA should be renamed Piggish Shellgaming Taxpayer Abuser.